In a food processor, add all chimichurri ingredients together. Process until parsley and garlic are finely chopped. Add more liquid for a thinner consistency. 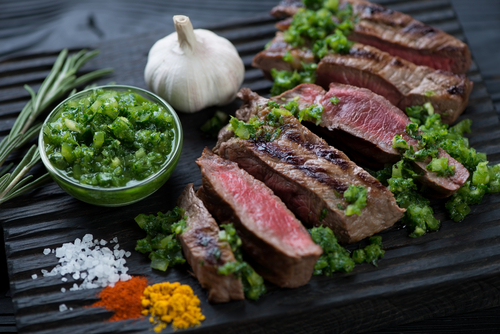 Chimichurri sauce pairs wonderfully with steak.